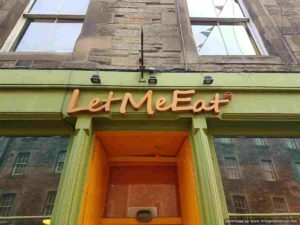 I had heard a rumour about an interesting take on coronation chicken at the branch of Let Me Eat on the Grassmarket. It’s called Let Me Eat Too. I went to check it out. I’ve visited their branch on Holyrood Road a couple of times on the strength of strong reports from regulars. I’ve been generally underwhelmed. This branch has some quirky seats and tables made from palettes. They look quite smart but I found them rather uncomfortable and not terribly well designed. 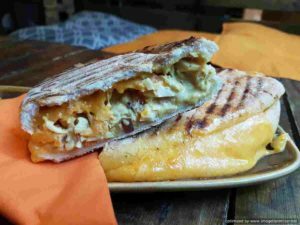 Their coronation panino is called Emily’s Special and brings together coronation chicken, bacon and cheddar. In the case of the item I tried it contained no discernible bacon so I suspect was a botched order. 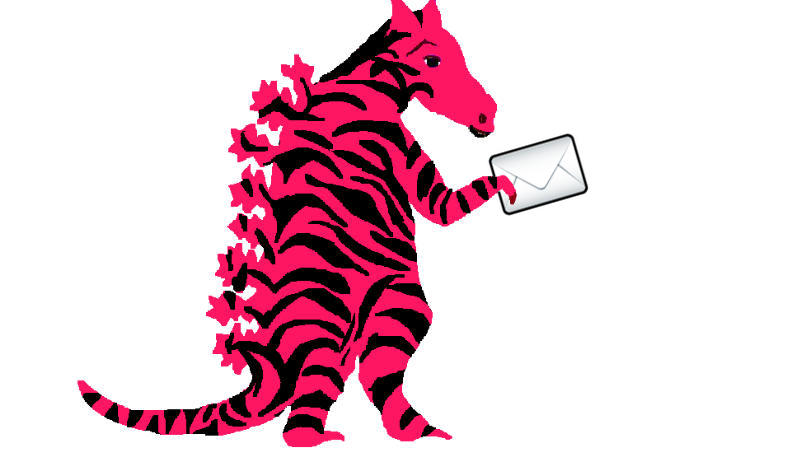 It arrived looking fairly monstrous. One half was a wall of cheese while the other was slightly more balanced. The coronation chicken itself was pretty good with decent moist chunks and some good fruit notes. Drowning it in low-quality cheddar may please Emily but it did nothing for me. The bread casing was like sawdust. It was in the realms of suitable for busting cruel and unusual hangovers but little beyond that. So overall, Let Me Eat Too is all wacky and no precision. There’s a decent coronation chicken sandwich in there somewhere but their innovative spin didn’t hit the mark for me. Perhaps good things lurk on the menu but I didn’t find them on this occasion.